Whether she’s helping you run errands, cooking up your favorite meal, or watching the kids so you and your lovebird can get some alone time, your supermom always comes to the rescue when you need help. When Mother’s Day rolls around, make some of your own meaningful gestures to show her how thankful you are for all the little things she does. Here’s a list of some really nice things to do for Mom on Mother’s Day. They may be small, but they’ll definitely put a big smile on her face! From sending flowers to her doorstep to buying tickets to her favorite show, there are tons of big gifts in small packages that you can treat Mom to on Mother’s Day. Though they may be petite, these last-minute Mother’s Day gifts are enormously thoughtful and practical. Plus they save you some extra shopping time! Remember the good old days when you and mom would curl up together on the couch and laugh over a good movie? Set aside some time in your busy schedule to relive those treasured moments: Plan a mom-and-me Mother’s Day movie date. You’ll both laugh out loud with these good movies to watch with Mom for Mother’s Day, and she’ll appreciate you dedicating your whole night to her—just like you used to as a kid. Showing your mom your gratitude for everything she does isn’t always about what you buy for her; it’s about what you feel in your heart. 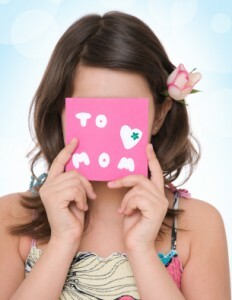 Tell her how much you love her by writing your own poem about mom or penning a fun, cute message in your Mother’s Day card. It’ll show how much thought and planning you put into it, and she can keep it forever. If mom text messaeges or emails, send her shorter sweet “Remember when … ” notes throughout the day too. Sure, Mom may be the greatest cook in the family, but she deserves to be spoiled with good food once in a while too! Take a look at these great Mother’s Day breakfast in bed ideas to find out how you can serve mom her favorite morning meal … and treat her like the royalty she is. If you and your mom can’t be together on Mother’s Day, there are lots of other ways you can make her feel close in heart on her big day. Email her a sweet and sentimental video she can watch that will remind her of you. This Blooming Flowers video for Mother’s Day is a perfect choice: 1-800-Flowers.com specially created it to represent the blooming beauty of a mother-child relationship. Most of the knowledge you have today came from the life lessons your mother taught you when you were a child. One great way to bond with Mom on Mother’s Day is to share some of your own knowledge with her. One great place to start is to tell her about the history of Mother’s Day. You’ll both love talking about how the holiday that celebrates your favorite person in the world came to be! What are some other small yet loving ways you’ll show Mom how much she means to you on Mother’s Day?